These 12' 4 5/8" wide gambrel shed truss plans are great for buiding a 2 story shed! The headroom they provide off the loft floor is 6'8" using 2x8 floor joists and 3/4" loft flooring! Interior headroom off floor sheeting to bottom of top gusset plate is 6'8". Will provide a 2 1/4" soffit overhang on the sides for ventilation when placed on a 12' wide shed wall constructin. Interior trusses are 2x6 construction with wooden gusset plates. Gable end trusses are 2x6 construction with 2x4 vertical supports. Top roof angle is 15° pitch (3/12) and suitable for shingles. (anything less will leak water). Materials list included for trusses and roof sheeting. Does not include gable end siding materials. Plans are in adobe pdf format and are 11"x17" in size. Plans can be printed on 8.5"x11" paper by setting your print option at 'fit to size' or other similar option on your printer. Print shops such as ups or staples can print the full size for you. 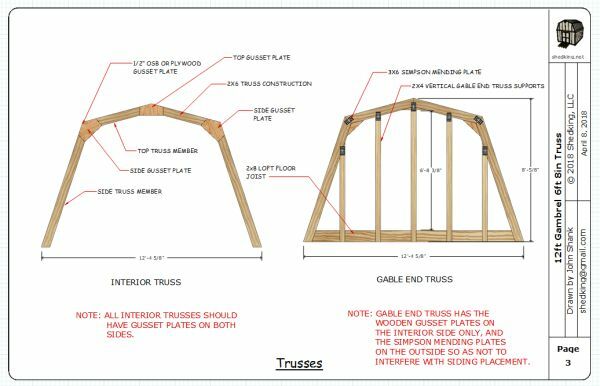 The plans you receive in your purchase include interior truss plans, gable truss plans, and a materials list. Please note that these are just plans to build your trusses with and do not include a set of plans for building the rest of the shed, such as the floor and wall framing. If you are looking to build a tiny house or small cabin these tall trusses can be combined with my 12x16 barn shed plans. I always suggest submitting these plans to your local building department to make sure your structure is safe. I am not an engineer or an architect, so the advise you will get from getting an approved permit is invaluable for your project. With your purchase of these 2 story shed truss plans, you will receive a link to download my cupola plans for free! These cupola plans are normally $3.00. The image to the left is from one of my customers who purchased a set of plans from me. 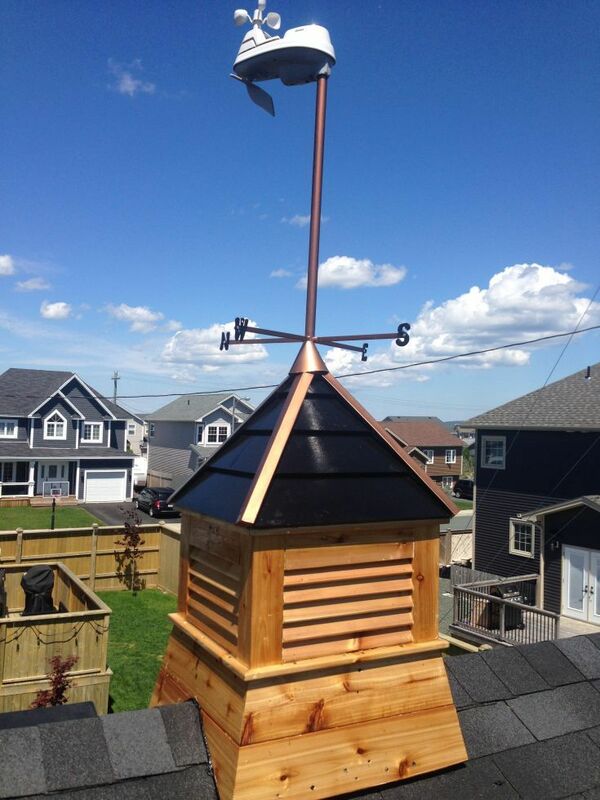 Click here to learn more about these cupola plans. 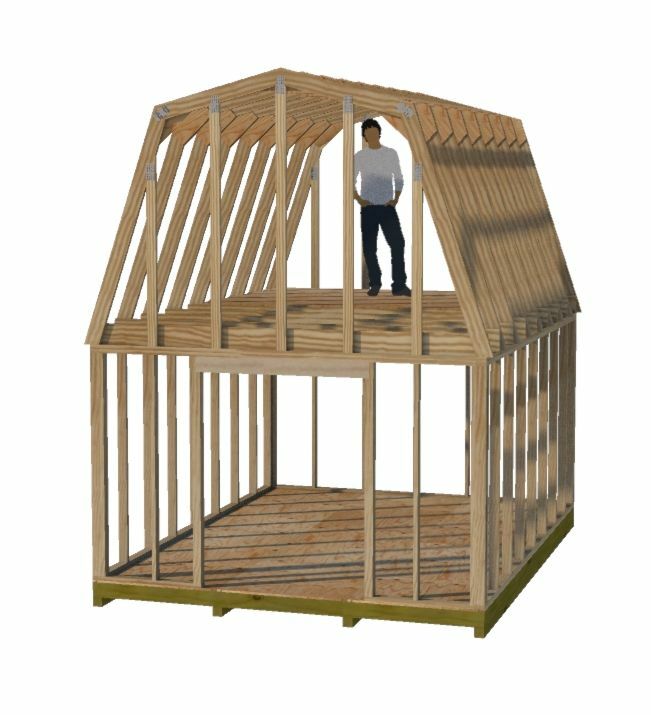 You can purchase these truss plans below for $8.95 using the buy now button below. Upon purchase you will immediately receive a link to download the plans. If you don't receive this link right away in your email, please check your spam or junk email folder as the email will sometimes end up there. If you still can't find the link, please contact me and I will send the plans to you as an email attachment.